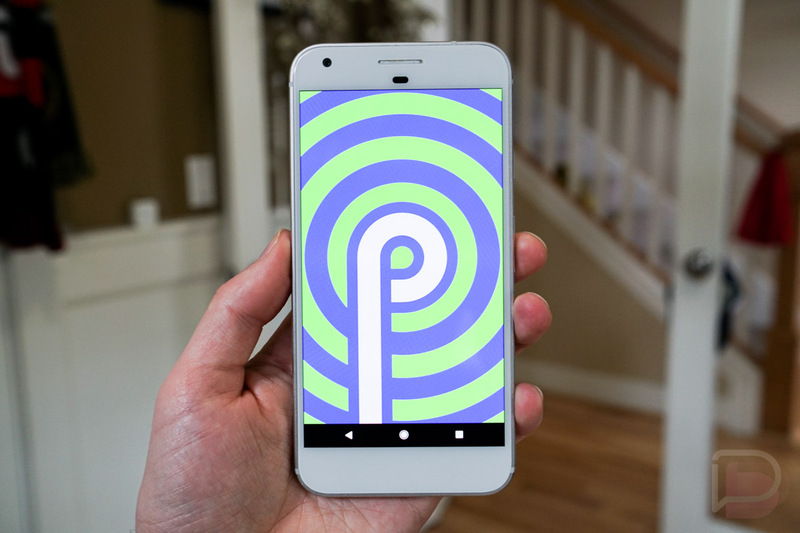 The first Developer Preview for Android P was just released, and with it, we’re beginning to learn what Android P is all about. Of course, the Android developers haven’t spoiled everything, but with the publishing of Android P’s features overview, we can start piecing everything together. As was reported, we are seeing native support for top notches in displays, platform support for indoor positioning with Wi-Fi RTT (aka IEEE 802.11mc WiFi protocol), enhancements for notifications, simplified Notification Channels, and more. Let’s start with this, shall we? Inside Android P, “display cutouts” will receive native support, allowing Android to conform to however Android OEMs are implementing their notices. As we can see in the image below, there will be all different kinds of cutaways — Narrow, Tall, and Wide. There’s also a None option, which is good, since there are still phones out there that won’t have a cutout. 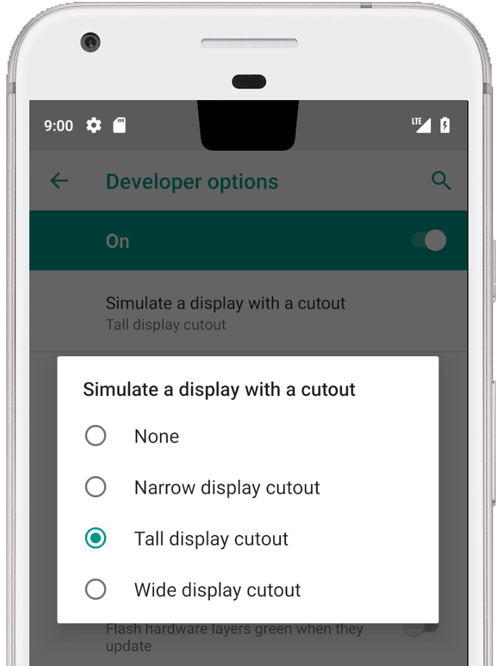 The Android team even goes so far as to add a cutout simulator for any device running Android P, inside of the Developer Options. From inside that menu, click Drawing > Simulate a display with a cutout, then select the size of cutout you want to preview. Android P adds platform support for the IEEE 802.11mc Wi-Fi protocol, aka the WiFi Round-Trip-Time (RTT). With this, you can take advantage of indoor positioning inside of your apps. To put it in the most layman’s way possible, your phone, when using a particular app with this functionality, will bounce its location off of local WiFi Access Points (APs), determining your exact position inside of a structure such as a shopping mall or airport. 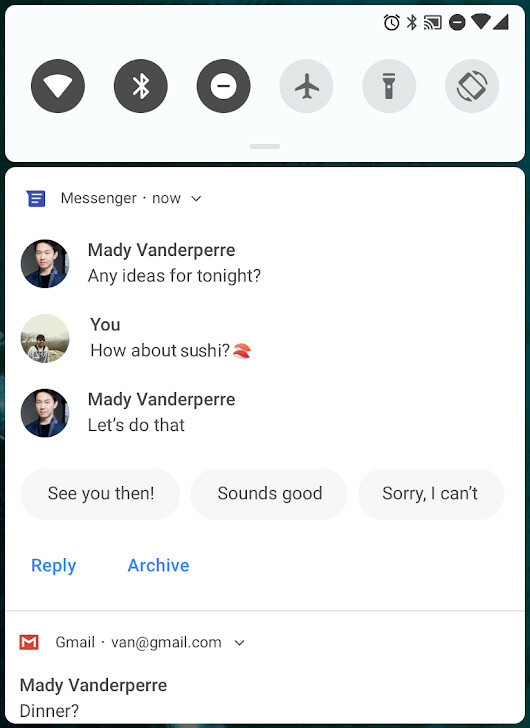 Building on the work done inside of Oreo, Android P offers enhancements to the notification system for Android. 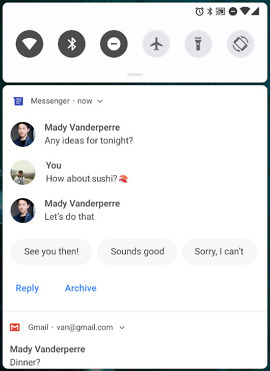 In particular, the Android team focused on Notification Channels, adding full images inside of notifications, simplified support for conversation participants, ability to save replies as drafts, as well as the native ability to recognize if a conversation is a group conversation. So, yeah, suggested replies will be system-wide now. Blocking channel groups: Users can now block entire groups of channels within the notification settings for an app. 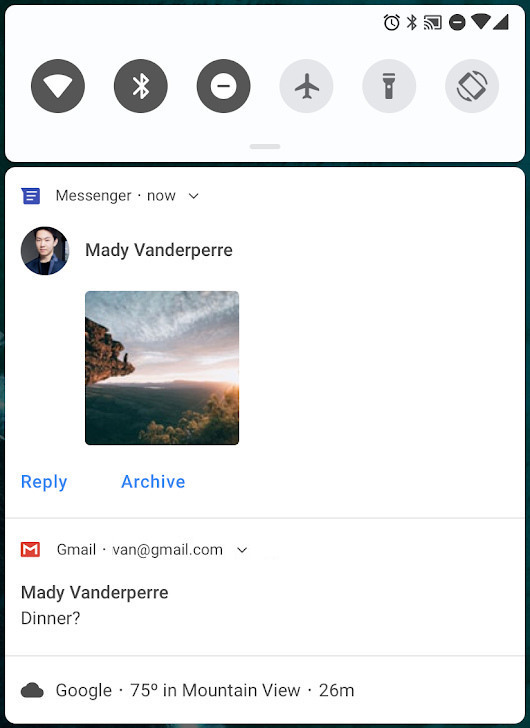 New broadcast intent types: The Android system now sends broadcast intents when the blocking state of notification channels and channel groups’ changes. Android’s Do Not Disturb mode wasn’t left out either. The Android team details new priority categories, which include the following. New Do Not Disturb priority categories: NotificationManager.Policy has two new policy constants: PRIORITY_CATEGORY_ALARMS (alarms are prioritized) and PRIORITY_CATEGORY_MEDIA_SYSTEM_OTHER (media, system, and game sounds are prioritized). For you camera lovers, Android P has something nifty for you, too. Apparently, you can now access streams simultaneously from two or more physical cameras on devices running Android P.
Those are the big things. Below, I’ll list out a lot of the developer-focused changes, but for more details, be sure to follow this link to see Google’s complete writeup on Android P.
Android P introduces a new AnimatedImageDrawable class for drawing and displaying GIF and WebP animated images. With Android P, JobScheduler has been improved to let it better handle network-related jobs for the user, in coordination with network status signals provided separately by carriers. The Neural Networks API was introduced in Android 8.1 (API level 27)to accelerate on-device machine learning on Android. Android P expands and improving the API, adding support for nine new ops — Pad, BatchToSpaceND, SpaceToBatchND, Transpose, Strided Slice, Mean, Div, Sub, and Squeeze. Android 8.0 (API level 26) introduced the autofill framework, which makes it easier to fill out forms in apps. Android P introduces multiple improvements that autofill services can implement to further enhance the user experience when filling out forms. Android P introduces a number of new security features, including a unified fingerprint authentication dialog and high-assurance user confirmation of sensitive transactions. Android P enables encryption of Android backups with a client-side secret. Because of this privacy measure, the device’s PIN, pattern, or password is required to restore data from the backups made by the user’s device. Android P introduces several actions, attributes, and methods to make it easier for you to work with the accessibility framework in order to enhance accessibility services for users.